On Monday I moderated a panel discussion at the White House Summit on Educational Excellence for African Americans at Manchester Community College (MCC). 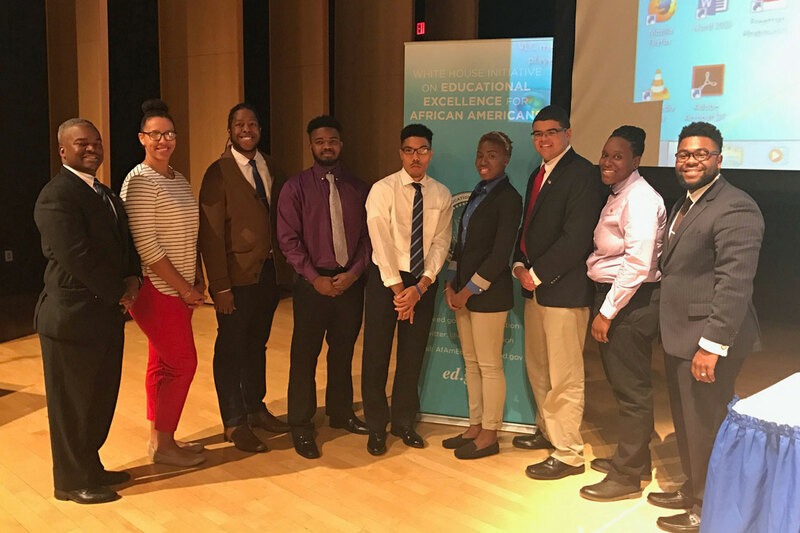 The summit was presented by The White House Initiative on Educational Excellence for African Americans and coordinated by Dr. G. Duncan Harris, Dean of Student Affairs and Enrollment Management at MCC. The discussion I led was comprised of local high school and college students and focused on how schools can help African American students prepare for their desired career path. This panel provided a great opportunity for students to engage with community members and share their recommendations for improving educational opportunities.The students had insightful and well-thought-out comments, and we should consider their voices essential to this conversation. President Obama established the White House Initiative on Educational Excellence in 2012 to improve educational outcomes for African American students. The goals of the summit are to raise awareness of African American educational excellence, highlight successful African American educational initiatives, and create opportunities for adults to help increase the number of African American students who graduate from high school prepared to succeed in higher education and the workforce.